Below we have listed the results of the 8th International Johannes Brahms Competition 2001 through to the 23rd International Johannes Brahms Competition 2016. 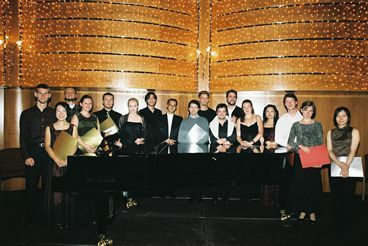 The prize of the audience is sponsored by Casino Velden and is awarded by the audience of the final concert at Casineum Velden on September 11, 2016 to: Marcel Johannes Kits (cello, b. 1995, Estonia). Modestas Sedlevičius (b. 1987, Lithuania) und Anna Anstett (b. 1988, Ukraine), given by KS Gabriele Fontana. Sets of strings by Thomastik-Infeld (Vienna) for the first three of the violin, viola, cello, and chamber music sections. All finalists get a three-year HELLO STAGE membership. Hello Stage is an innovative new online platform, targeted for the classical music community. The opinion of the viola jury was that this year's level was not as high as it was in past years when the results of the top candidates were unanimously and undisputedly seen as extraordinary and worthy first prizes. 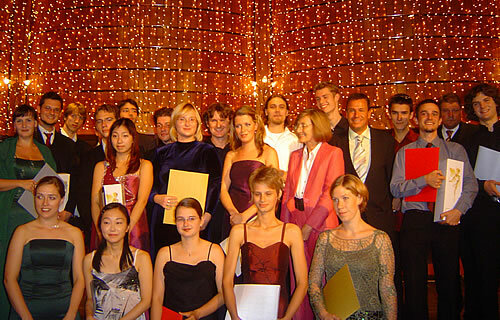 Prize given by: Arnold Bros.
All finalists received a one-year membership at HELLO STAGE, the online community for classical music. All prize winners received a three-year membership. The violin, cello and chamber music prize winners were presented with sets of strings by Thomastik-Infeld Vienna. 37 participants in the 1st round. 12 participants in the 2nd round. 3 participants in the final round. 21 ensembles in the 1st round. 12 ensembles in the 2nd round. 4 ensembles in the final round. Prize given by: Berndorf Privatstiftung - Kultur Raum geben. 75 participants in the 1st round. 13 participants in the 2nd round. 33 participants in the 1st round. 14 participants in the 2nd round. 5 participants in the final round. 45 participants in the 1st round. 28 participants in the 1st round. 15 participants in the 2nd round. 6 participants in the final round. Prize given by Arnold Bros.
Sets of strings with a total value of about EUR 1700 for the winners of the violin, viola, cello, and chamber music sections. 3. Piano Quartett "Anno Domini"
The cellist Jee Hye Bae (19) from South Korea was awarded the prize of the audience at the final concert on September 2 at Casineum Velden. Sets of strings by Thomastik-Infeld Vienna were given to the first three of the violin, viola, cello and chamber music competitions. 4. Alexej KHOLODOV (Russia) Age: 23 "Bösendorferpreis"